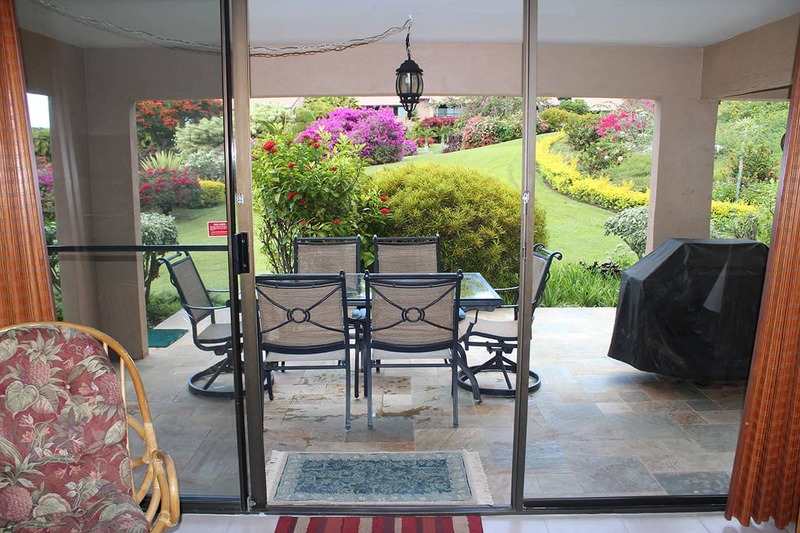 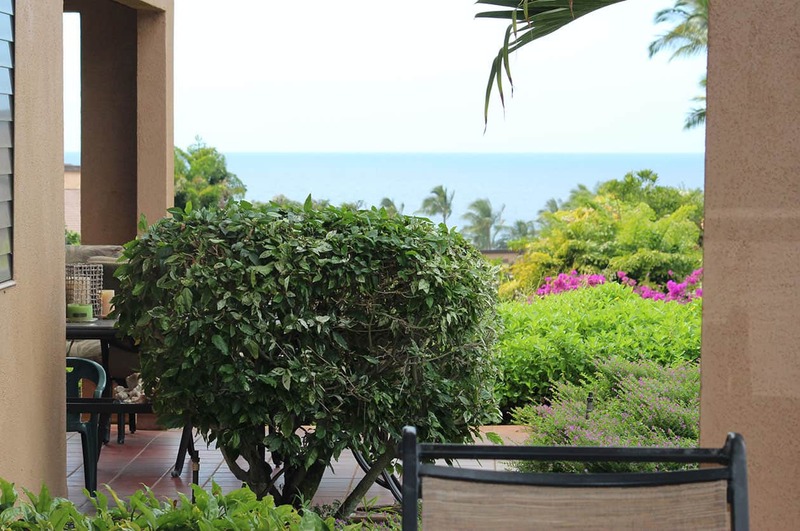 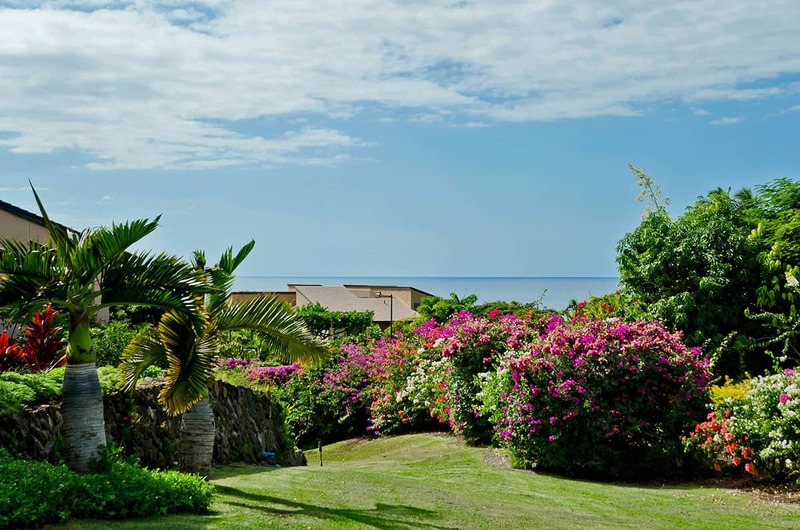 Spectacular, private garden, mountain and ocean views. 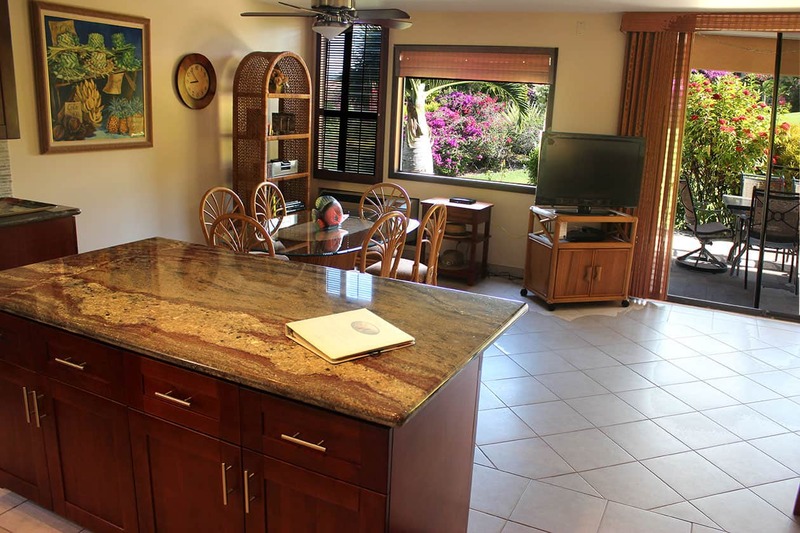 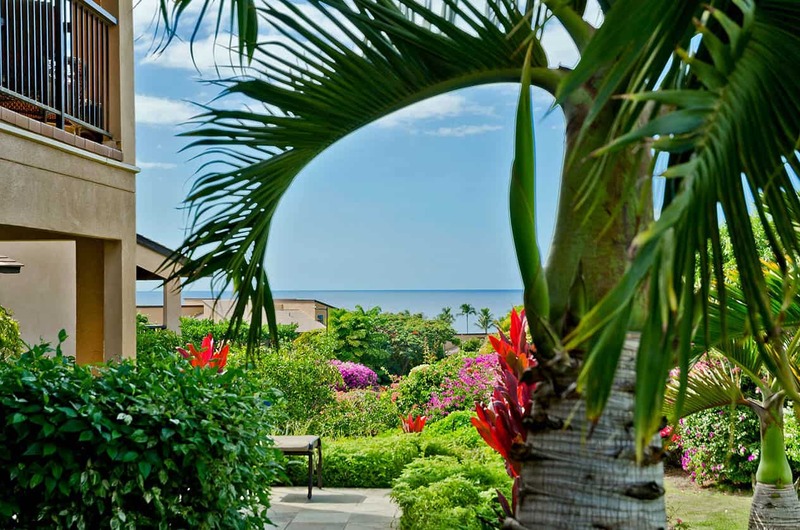 Welcome to our continuously updated Maui home. 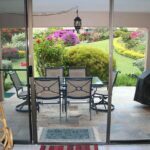 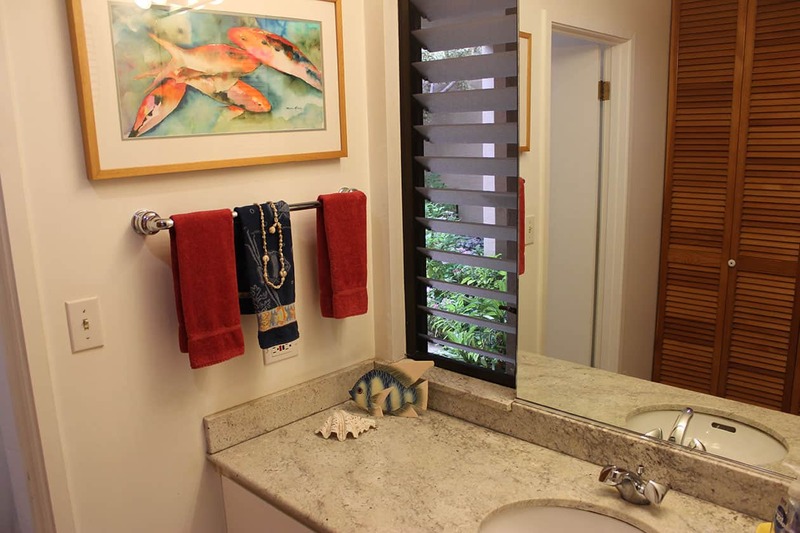 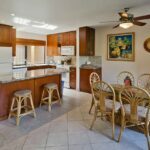 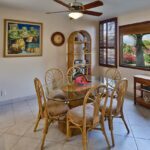 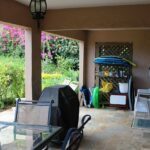 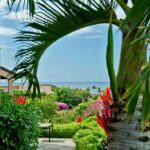 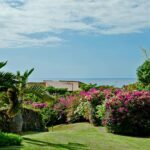 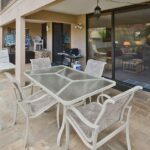 This private, quiet, affordable ground floor condo offers a large lanai and is a peaceful 6 minute walk through beautiful gardens to the ocean. 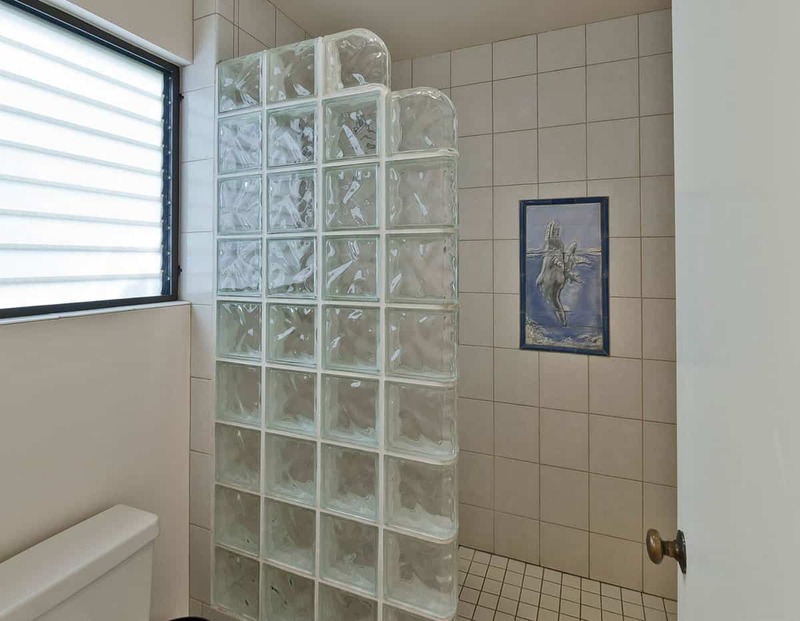 Sleeps up to 5 comfortably. 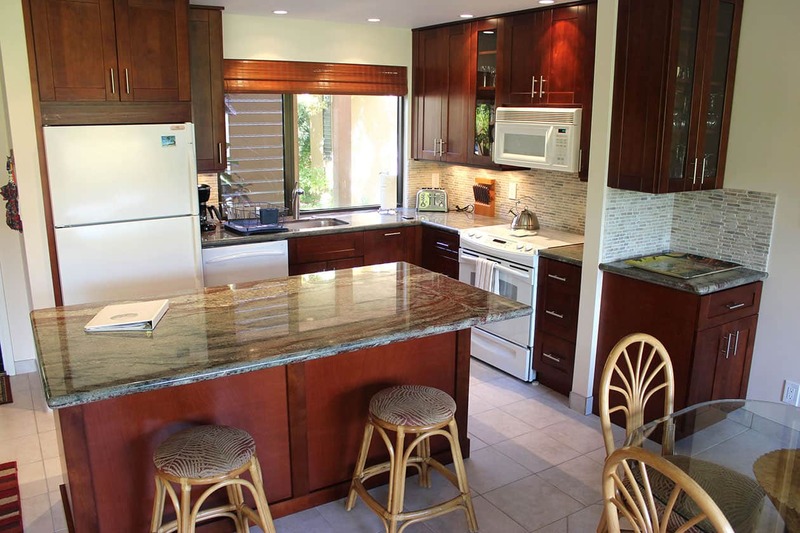 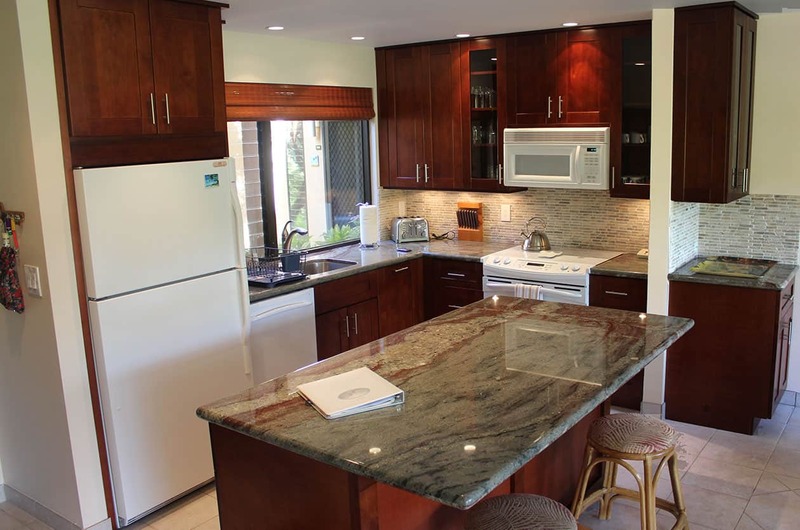 The owner is a cook and the kitchen outfitting and new remodel is spectacular. 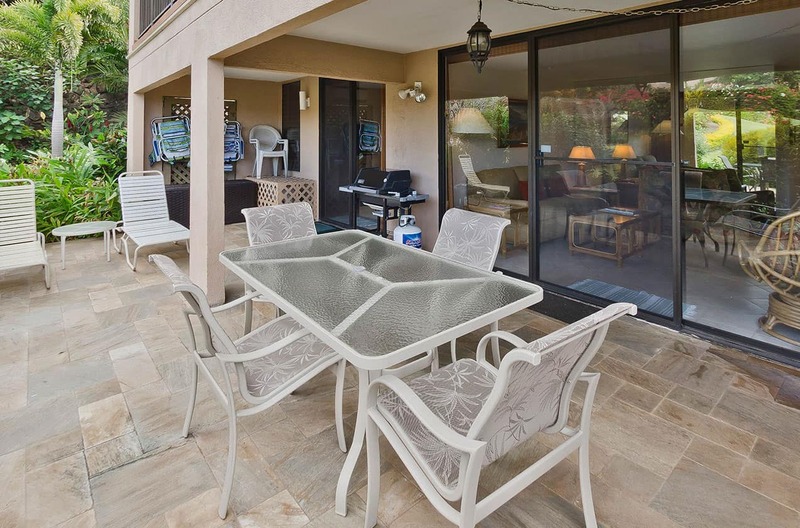 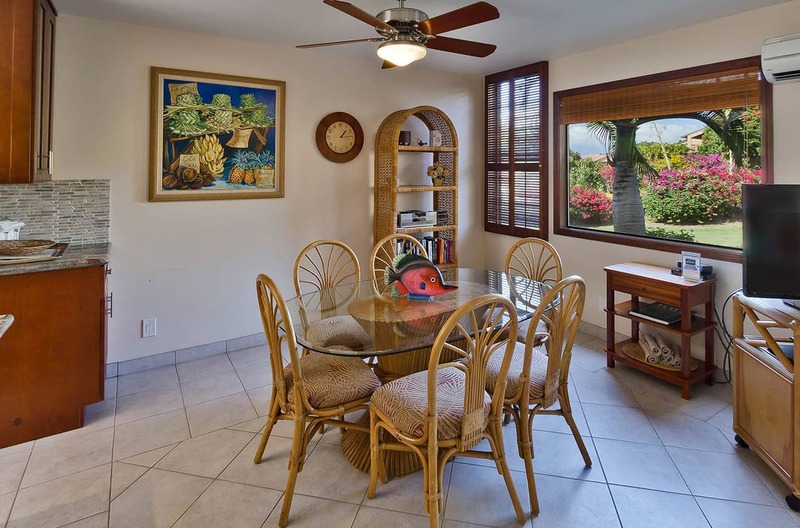 Enjoy A/C, a huge slate lanai and lots of beach toys. 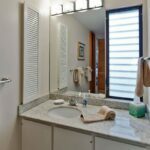 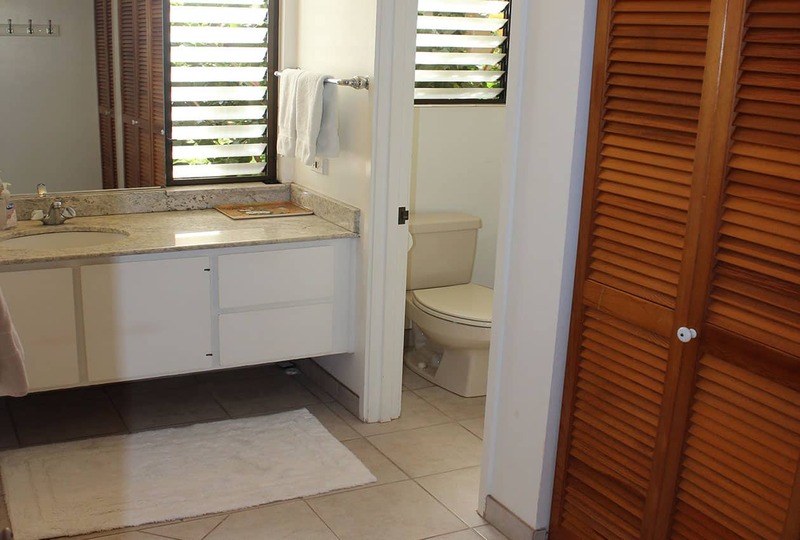 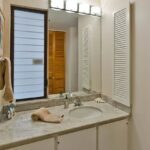 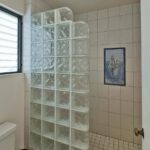 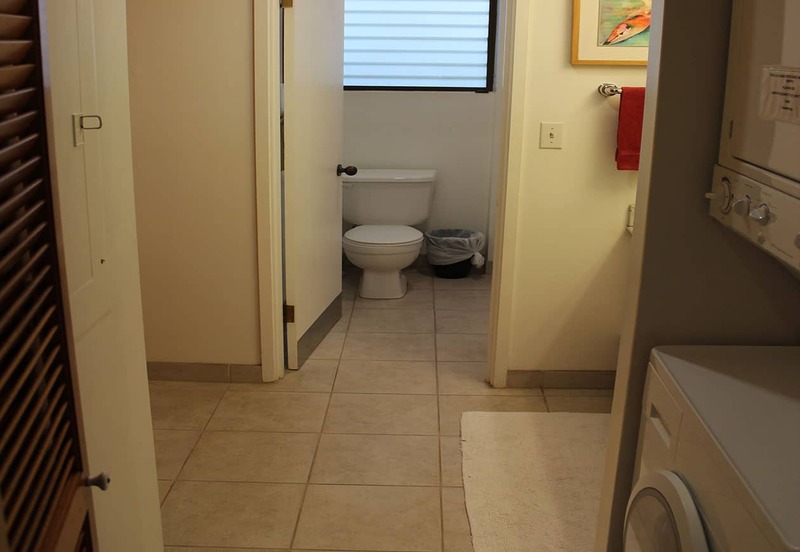 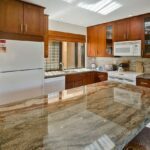 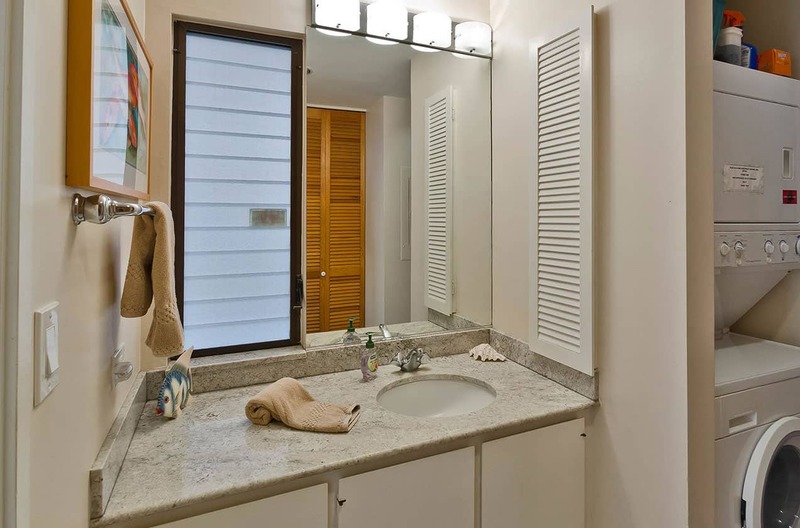 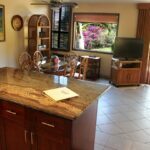 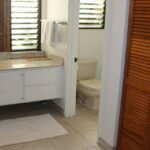 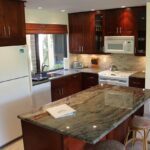 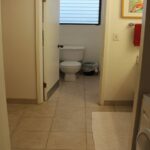 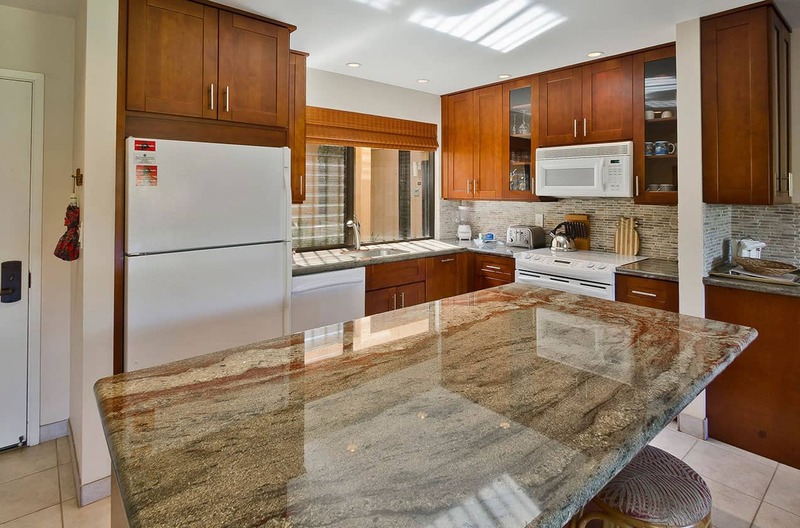 This condo is continuously remodeled and updated by owners who actively use this space too. 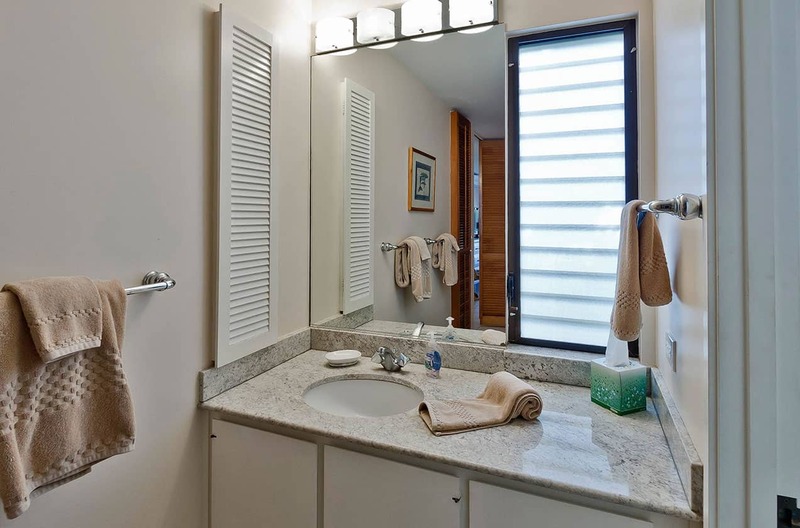 This year look for new split-ductless A/C through out. 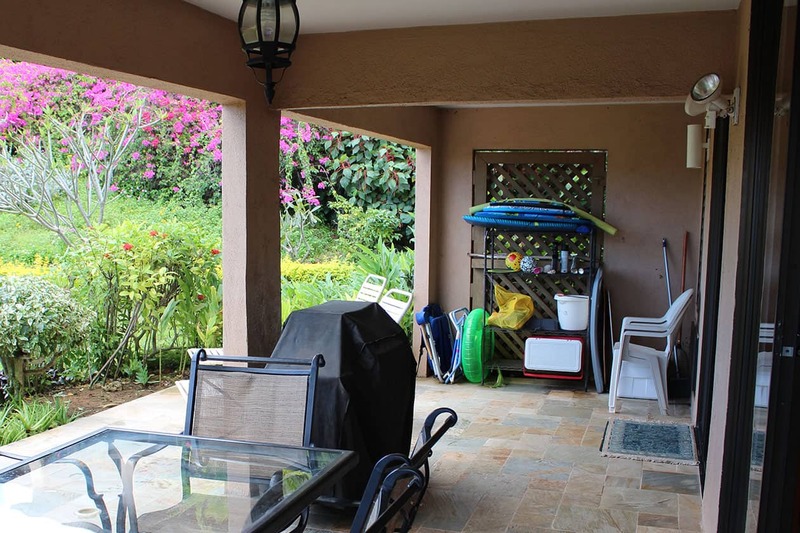 Wonderful options for outdoor living abound in this accessible, comfortable condo. 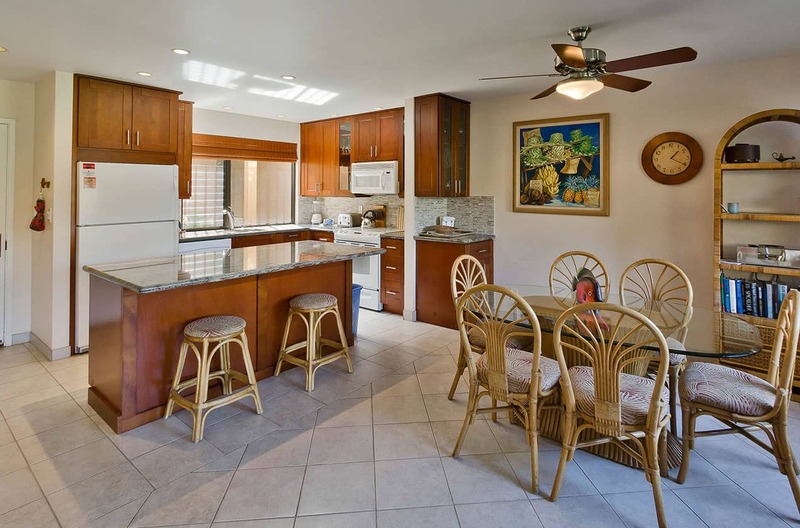 Plenty of space for entertaining family and friends or for romantic times. 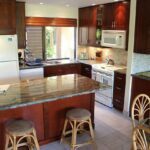 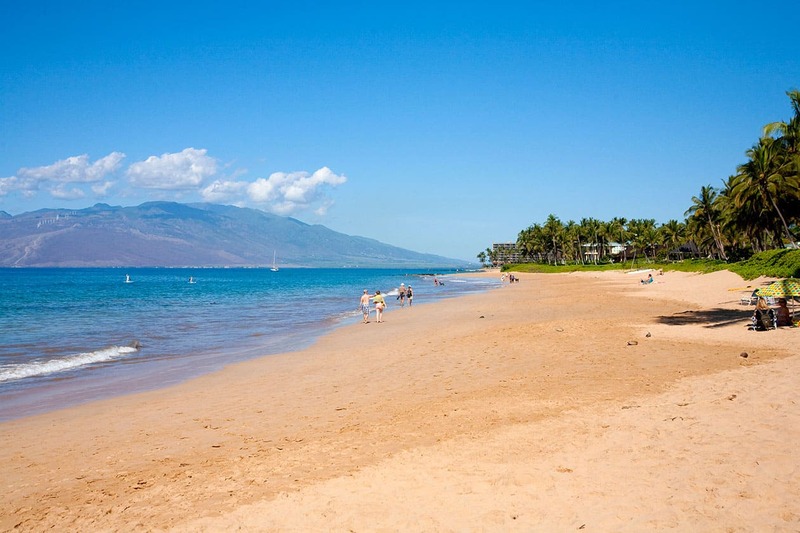 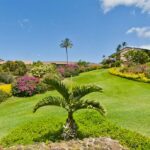 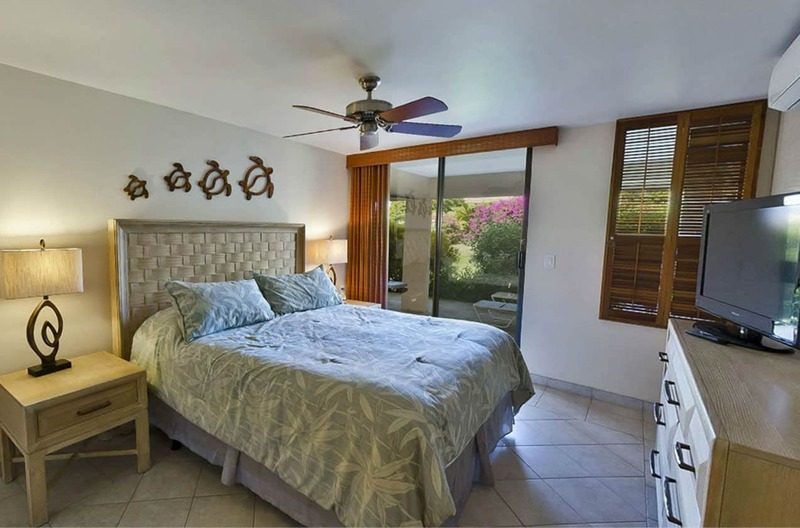 Not only does 50B offer easy access to Keawakapu Beach and Wailea’s beachfront boardwalk, but you can also walk to the Shops of Wailea in an easy 10 minutes. 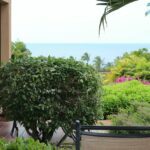 The Shops at Wailea have everything from casual dinning to high end steak houses and tropical restaurant. 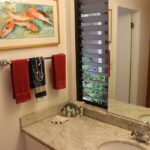 Additionally The Shops offer convenience stores (ABC and Whalers General Store), surf shops and high end retail (Tiffany’s). 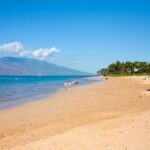 As you walk by the ocean front resorts and hotels of Wailea, don’t forget you can work out, get a massage, learn to surf or ocean kayak at any of these hotels. 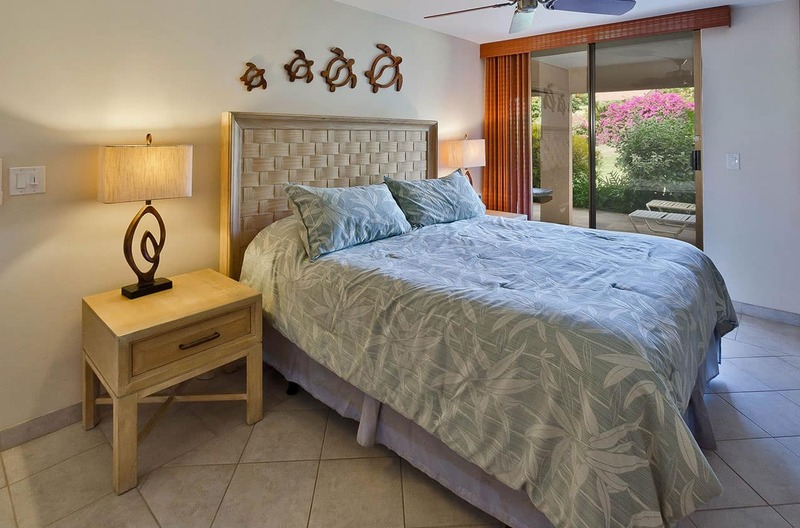 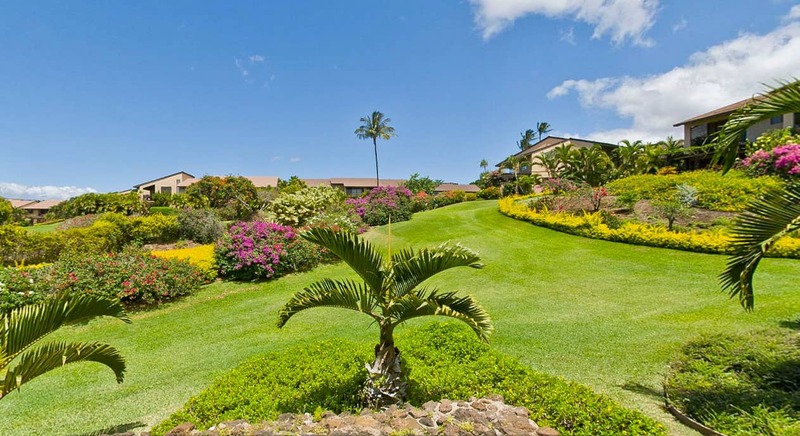 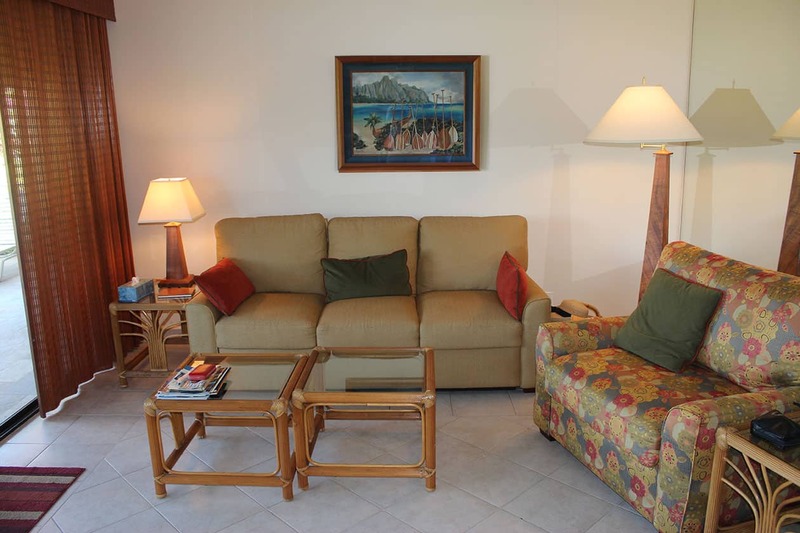 Come experience Maui’s Paradise and live the Aloha Spirit at Ekahi Village and 50B. 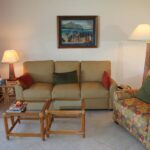 LIVING ROOM: American Leather Queen Sofa Sleeper & American Leather Twin Chair Sleeper. 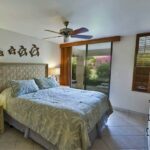 ADDITIONAL: Pack-n-play for a child (plenty of room in the bedroom or even the hall dressing area for a private sleep time).